Cafe Lighting - Antique silver or antique gold resin base with a clear glass cut pineapple with a grey or black linen tapered drum shade respectively. 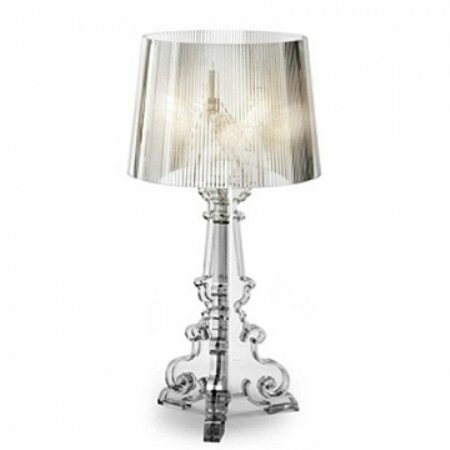 Cafe Lighting - Houston table lamp base available in nickel and copper finish. Cafe Lighting - Maelia 12 arm polished chrome finished metal frame and fittings finished with K5 crystal arms, centre feature and large teardrop beading. Cafe Lighting - Beautiful peacock-design, antique gold or silver finish resin lamp base with a natural linen or grey tapered drum shade respectively. Cafe Lighting - Clear or smoke glass faceted pendant with electroplated gold fitting and ceiling cup. Cafe Lighting - Tribecca pendant light in Matt Black, Chrome or Gold electroplated geometric shaped iron pendant, with a matt black, chrome or gold chain and ceiling cup respectively. Cafe Lighting - Turquoise beaded chandelier with antique gold frame and ceiling cup. Cafe Lighting - Antique gold foil metal frame chandelier with clear crystals. Antique chain and ceiling cup. Some assembly required. Iron geometric pendant in a natural iron finish. One single light fitting. Metal table lamp in a satin black finish. Colour: Black. Globe Base: 1 x B22. Voltage: 240V. Cafe Lighting - White linen shade with double taped top and bottom.